"There's no human remedy for sin." While they were trying to kill him, news reached the commander of the Roman troops that the whole city of Jerusalem was in an uproar. He at once took some officers and soldiers and ran down to the crowd. When the rioters saw the commander and his soldiers, they stopped beating Paul. The commander came up and arrested him and ordered him to be bound with two chains. Then he asked who he was and what he had done. Some in the crowd shouted one thing and some another, and since the commander could not get at the truth because of the uproar, he ordered that Paul be taken into the barracks. When Paul reached the steps, the violence of the mob was so great he had to be carried by the soldiers. The crowd that followed kept shouting, "Get rid of him!" Although there were many evils in the Roman Empire, it did keep "law and order" in its colonies, at a time when the world was often lawless and chaotic. The Roman commander in Jerusalem will not allow mob violence and thus saves Paul's life. But this is no guarantee of safety. Paul will still face trial for whatever he has done to cause the uproar. There are both similarities and differences in the lives of Paul and Jesus. 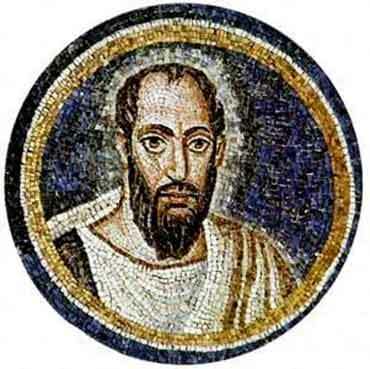 In this case, Paul, like Jesus, has been arrested in Jerusalem at the behest of the locals, because of his heretical preaching, and could be punished even if he has not broken Roman law. But Jesus was condemned by the Sanhedrin, the ruling body of Judaism; Paul is simply the target of a mob. Also, there will be a great difference in how they are treated, because Paul is a Roman citizen and Jesus was not. Like Jesus, Paul has traveled to Jerusalem knowing that he will be arrested. As we saw earlier in Acts 21, a man named Asabus dramatically prophesied that Paul would be arrested and turned over to the Romans. And also, one gets the feeling from Acts that Paul's return to Jerusalem, after an absence of 30 years, is some sort of bookend to his ministry. Possibly he knows that he is coming to the end of his journey. Perhaps he is simply weary of founding and building new churches all over the world and is ready for something different. Unlike Jesus, however, Paul will not be crucified in Jerusalem — again, because he is a Roman citizen.